In 1533, Pedro de Heredia, a nobleman from Madrid, started building the city. A century later, this was where all the stolen treasures from the indians of New Grenade were stored before being moved to Spain. The haunting pirates of the caribbean sea made it their favorite target. 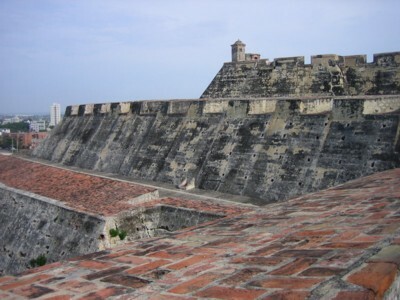 So the spanish chose to fortify the city with 11 km of rampars & 6 forts which include the fort of San Felipe de Barajas. His structure followed the universal military technology of that time but will be considered without an equal in all of America.